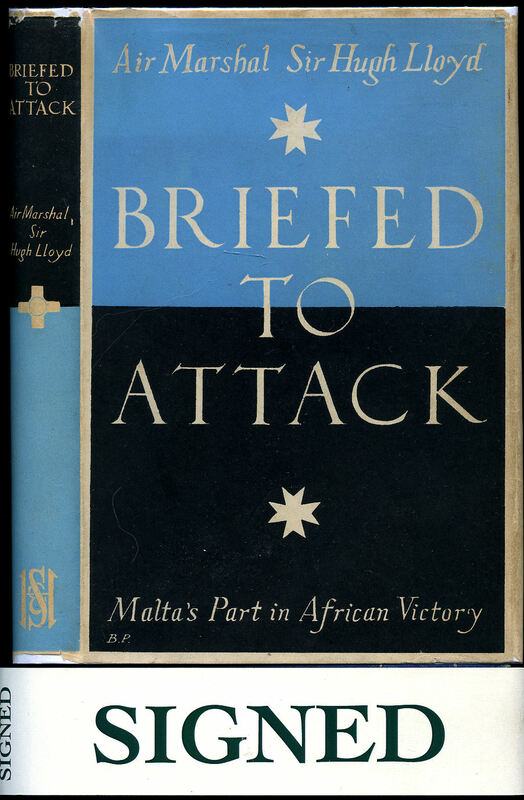 Published by His Majesty's Stationery Office, London First edition 1943. 1943. First edition publisher's original stapled illustrated paper covers. 8vo 9" x 7". Monochrome photographic illustrations. In Very Good clean and bright condition. Member of the P.B.F.A. Published by Plurigraf, Narni Terni First Edition 1994. 1994. First edition in publisher's original colour illustrated laminated card wrap covers. Quarto. 10'' x 8''. Contains 128 printed pages of text with colour illustrations throughout. Without any ownership markings and in near Fine condition, no dust wrapper as published. Member of the P.B.F.A. 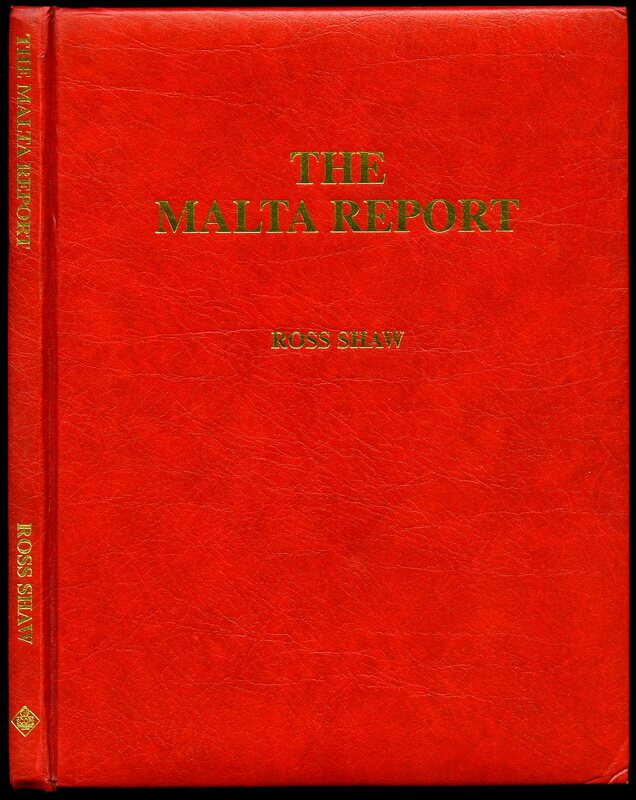 Published by A. C. Aquilina & Co. Malta 3rd New and Revised Edition 1979. Malta 1979. Publisher's original plain lemon card wrap covers. 8vo. 8½'' x 5¼''. Contains 165 printed pages of text. Two erased pen lines to the front cover and in Good condition, no dust wrapper as published. Member of the P.B.F.A. Lloyd, Air Marshal Sir Hugh [Air Chief Marshal Sir Hugh Pughe Lloyd, GBE, KCB, MC, DFC (12 December 1894 - 14 July 1981) was a senior Royal Air Force commander]. Squadron Leader James Edward Raw-Rees, D.F.C., D.L. (1921 - 1987) 49 Squadron and 463 Australian Squadron. [Foreword by Lord Tedder]. Published by Hodder and Stoughton Ltd., St. Paul's House, London First Edition 1949. 1949. First edition hard back binding in publisher's original blue cloth covers, silver title and author lettering to the spine, silver Hercules to the front cover. 8vo. 9'' x 6''. Contains [xvi] 231 printed pages of text with 14 full-page maps, cartoons and monochrome photographs throughout. Off-setting to the end papers. Very Good condition book in colour copy dust wrapper. SIGNED by the author to the title page 'Squadron Leader J. E. Raw-Rees, D.F.C., D.L. (James Edward Raw-Rees, D.F.C., D.L.) To Jim - In sincere appreciation of your magnificent evening when President R.A.F.A. Aberystwyth, Hugh Lloyd - 1st June 1967'. Dust wrapper supplied in archive acetate film protection. Member of the P.B.F.A. 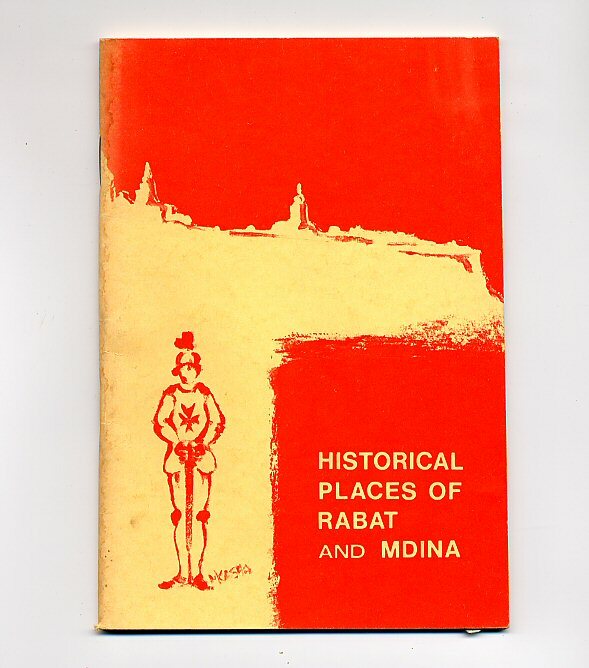 Published by George G. Harrap & Co. Ltd., 182 High Holborn, London 1950. London 1950. Hard back binding in publisher's original orange cloth covers, light blue lettering to the spine. 8vo. 9'' x 6'' 200 pp. Monochrome illustrations throughout. Spine slightly sun faded and in Very Good condition, no dust wrapper. This book is not signed by the author. Member of the P.B.F.A. 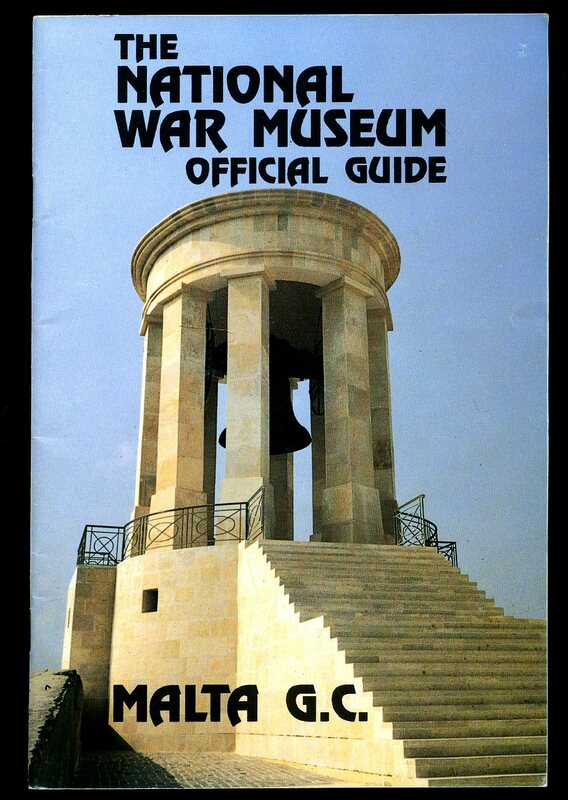 Published by the National War Museum Association, Malta 1994. 1994. Publisher's original stapled colour photographic card wrap covers. 8vo. 8½'' x 5½''. Contains 50 printed pages of text with monochrome photographs throughout. Without any ownership markings and in very near Fine condition, no dust wrapper as published. 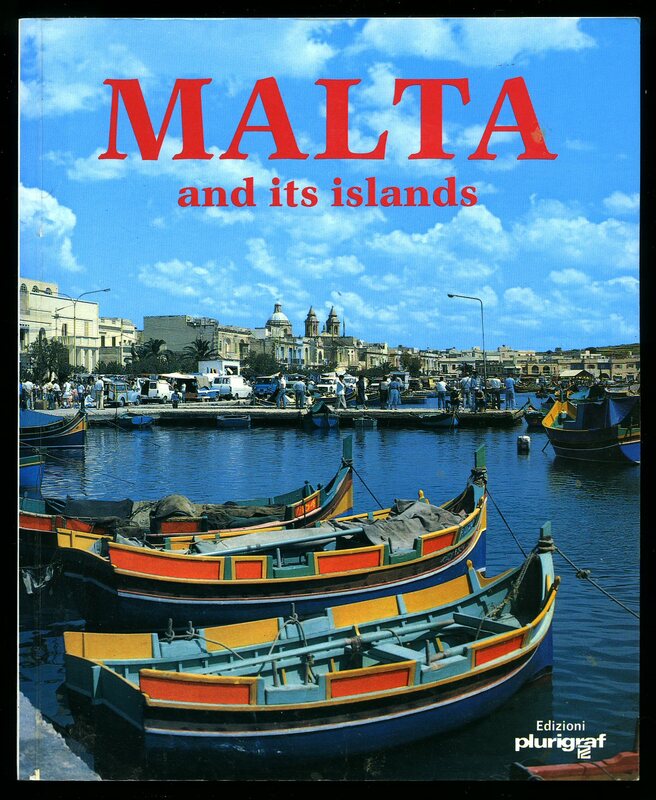 We currently hold in stock 25 other titles on Malta. Member of the P.B.F.A. 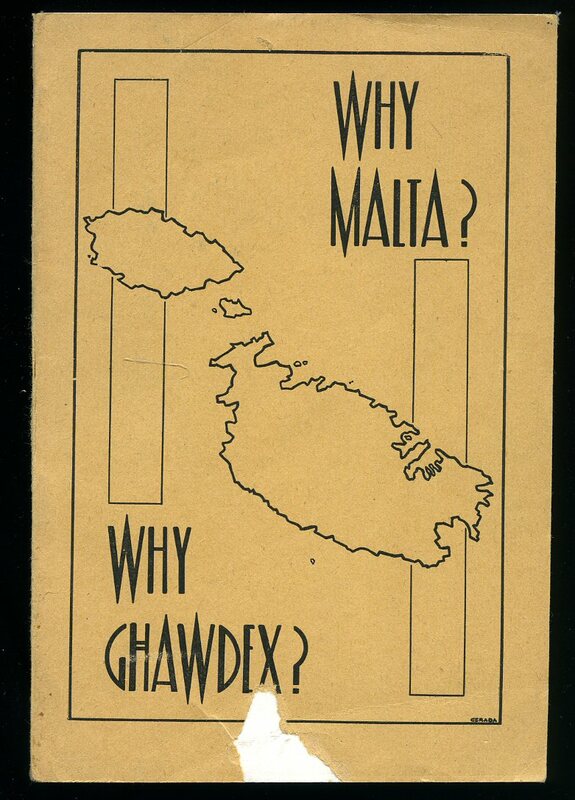 Publisher's original plain brown card wrap covers with outline map of Malta to the front cover. 8vo. 7'' x 5''. Contains [xxiv] 114 [xliv] printed pages of text with monochrome photographs throughout. Small piece of card missing to the foot of the front cover, without any ownership markings and in Very Good condition, no dust wrapper as published. Member of the P.B.F.A. Published Privately by the Author 31st October 1997. 1997. Publisher's original staple white card wrap covers. 8vo. 8'' x 5½''. Contains 3 printed pages of text referring to 16 pages of colour photographs. In Fine condition, no dust wrapper as published. Member of the P.B.F.A. 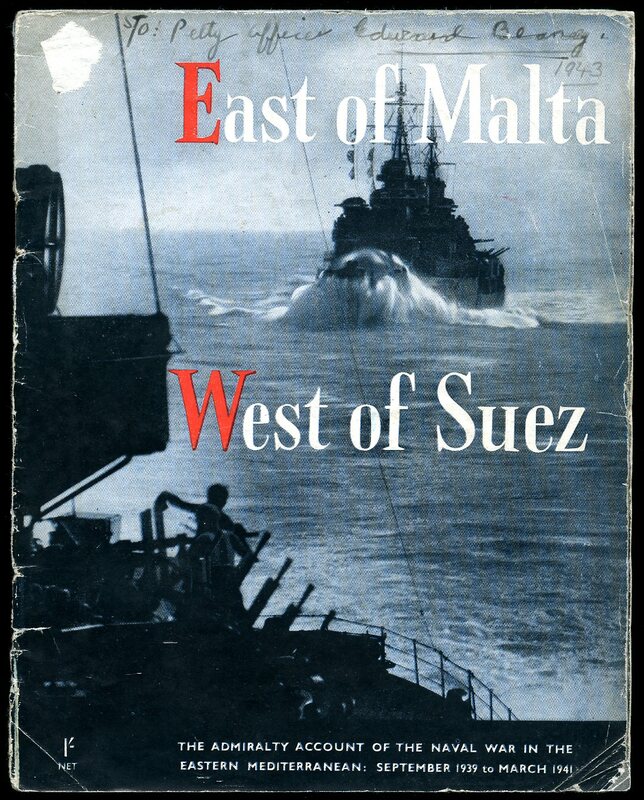 Published by Hodder and Stoughton Ltd., London Reprinted Edition October 1943. London 1943. First Reprinted edition hard back binding in publisher's original mushroom cloth covers, black title and author lettering to the spine and to the upper panel. 8vo. 7½'' x 5¼''. 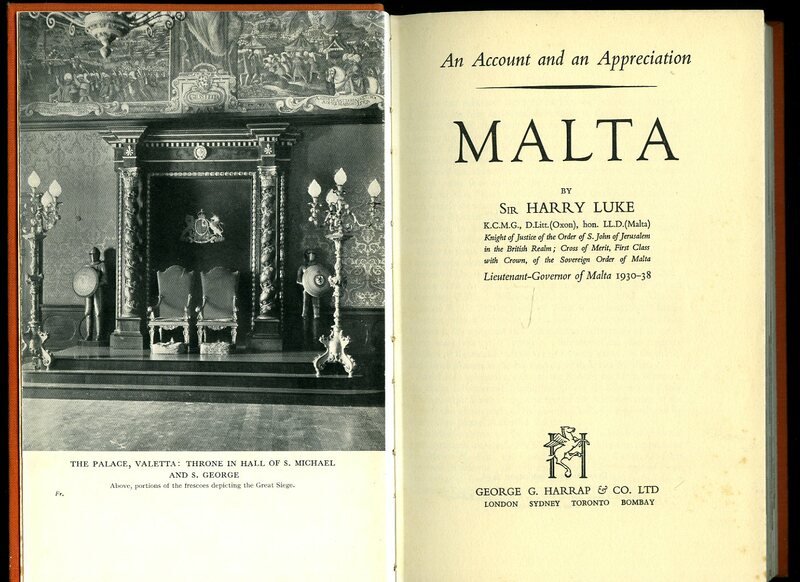 Contains 208 printed pages of text with monochrome photographs throughout, maps to the end papers, General Dobbie's Order of the Day in May, 1940 frontispiece. A little sun fading to the upper edges where pieces of the wrapper are missing, upper edges slightly age darkened. Very Good condition book in Very Good condition colour illustrated dust wrapper with nicks and chips to the upper edges, rubs to the gutters and corners, 30 mm closed tear to the foot of the front panel, not price clipped 7/6. Dust wrapper supplied in archive acetate film protection, this preserves and prolongs the life of the paper, it is not adhered to the book or to the dust wrapper. Member of the P.B.F.A. Published by M. J. 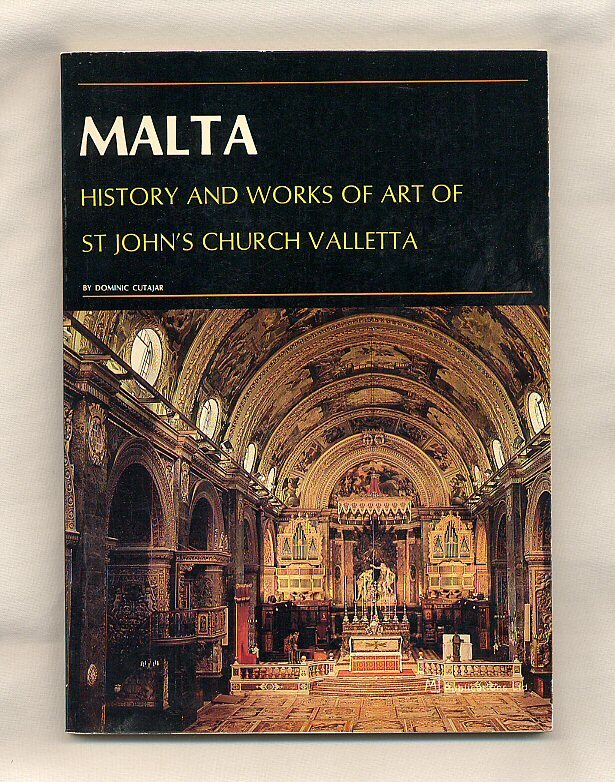 Publications Co. Ltd., Valletta, Malta First Edition 1989. 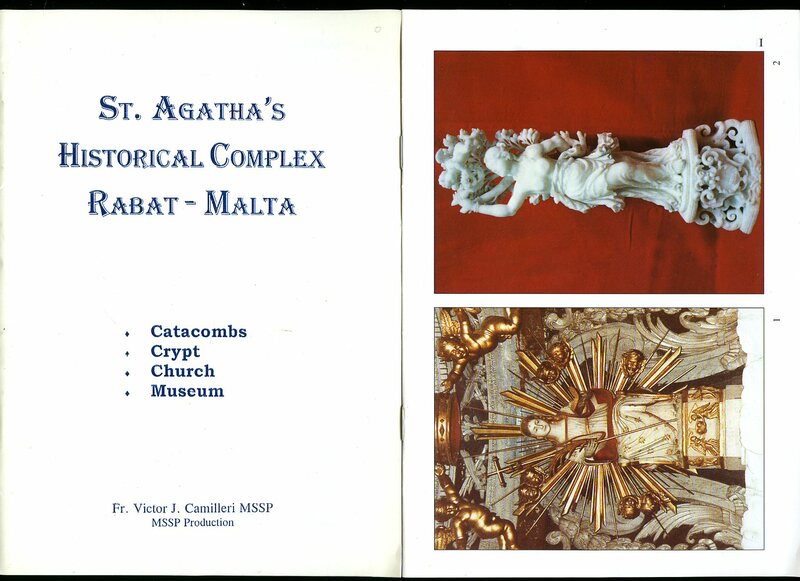 Valletta 1989. 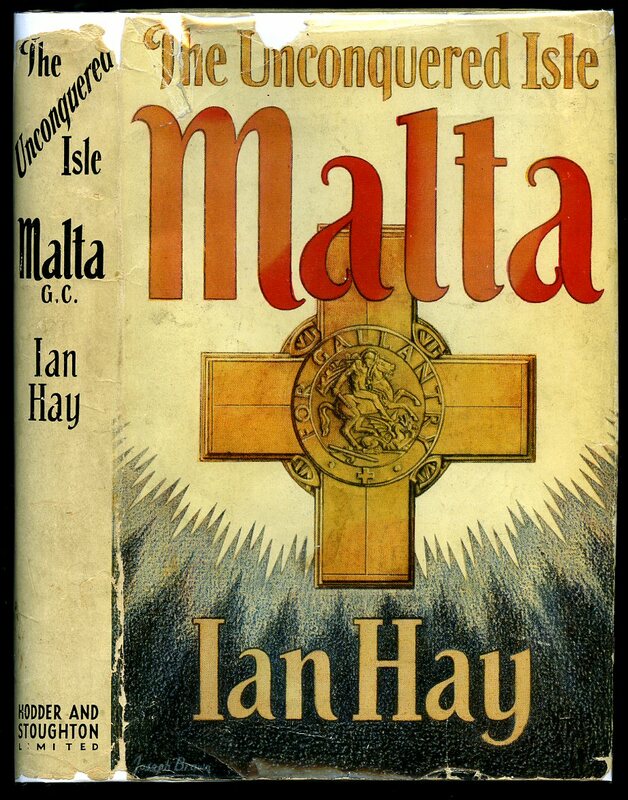 First edition in publisher's original colour illustrated card covers. 8vo. 9'' x 6½''. Contains 112 printed pages of text with colour illustrations and photographs throughout. In Fine condition, no dust wrapper as published. Member of the P.B.F.A. 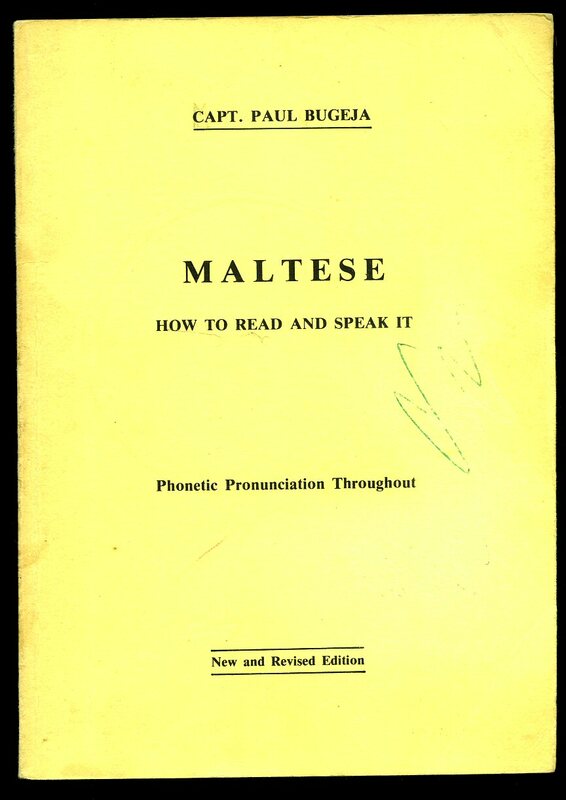 Published by Lombardi's Press Sliema, Malta 1978. Malta 1978. Publisher's original yellow and orange card wrap covers. 8vo. 8½'' x 5¼''. Contains 46 printed pages of text with monochrome photographs throughout. In Very Good clean condition, no dust wrapper as published. Member of the P.B.F.A. 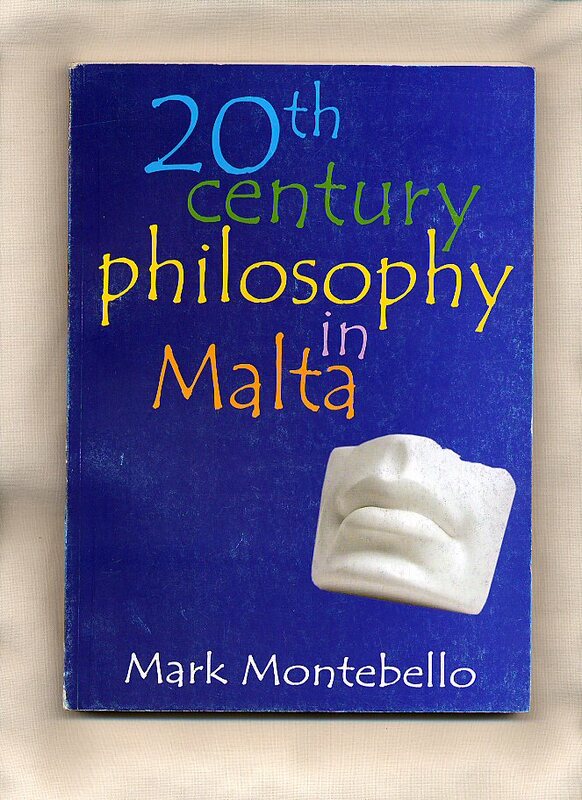 Published by Agius & Agius Ltd., Hamrun, Malta First Edition 2009. Malta 2009. Published by Scope International Ltd., Rowlands Castle, Hampshire First Edition 1996. 1996.